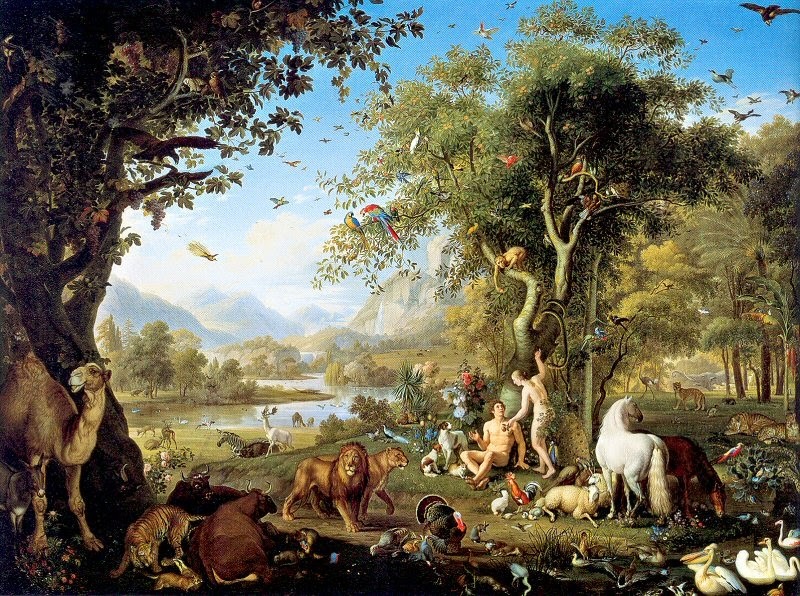 As we all know that Adam was the first man on the earth according to the known myths. God created him and placed him in the garden of Eden which was full of trees, plants and animals. He also created Eve form Adam's ribs who could be Adam's companion. They were allowed to do anything in that garden but God commanded them " you shall eat the fruit from any tree, but the fruit from the tree of knowledge of good and evil you shall not, for in the day you eat you shall surely die." (Genesis 2:16-17) by this he didn't mean that they'll die at that very moment but eventually their spirit will leave their body. So, Adam was given a law to obey which was the will of God, but he was tempted to eat the forbidden fruit that is the fruit from the tree of knowledge of good and evil which he did eat, and disobeyed God for his self interest. 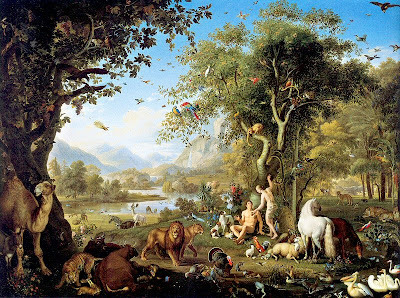 "Adam and Eve in the Garden of Eden"
A Sin is nothing but an act which is against the will of the God or we can say against the predefined obligations. The first sin committed by man i.e. the original sin which led to the fall of man. Fall of man is the transition from obedience to guilty disobedience which cursed the human race to go through pain and sufferings and face the eternal death. Since, we all are the descendants of Adam, everyone of us is born with the original sin that comes from the heredity of our ancestors. We all are cursed to suffer eternal death.That is why we all are mortal, says the myth. !! So, if everyone was born with Adam's sinful nature, why was Jesus divine ? There are many scientific reasons behind the fact that not a single drop of blood is contributed by a mother to the child, the blood is induced inside the child only after farther's contribution, mother's blood doesn't come in contact with the child. And Jesus was divine because Jesus was the son of God, carried and conceived by the virgin Marry. 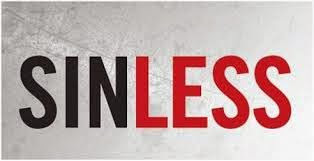 Jesus was born sinless since, he was not the part of bloodline of a sinful man . Jesus was the second man with divine and sinless blood, and therefore he was immortal, i.e he was deathless until he took the sin of others on himself and died their death. Some sources also give evidence that Jesus was married to Marry Magdalene and she gave birth to their child Sang-real. This means there are chances that the divine bloodline is still running among some of us, but then they should have been immortal. Moreover, if only the man was cursed why do animals and other creatures die? And if God is said to be so kind then why would he curse us for the sin of our ancestors that we didn't even commit? The more you get into the history, the more you'll be left with unsolved mysteries and doubts. Intriguing facts Deeshani. The marriage of Jesus with Marry Magdalene finds mention in some places, the possibility of a bloodline existing makes it all the more interesting. Yes Somali, these beliefs and suspicions are utterly intriguing! Quite an intriguing concept Deeshani :) Loved your thoughts!